​Sorbo received international stardom when he booked the lead role in “Hercules, the Legendary Journeys” (1993-1999) the most watched TV show in the world, airing in 176 countries. Following that success, Sorbo had the lead role as “Captain Dylan Hunt” in “Gene Roddenberry’s, Andromeda”. The first show created by Roddenberry after the original Star Trek series. Andromeda debuted as the number one, hour-long show in first run syndication and remained at number one for its entire run from 2000-2005. Sorbo also starred alongside Dennis Quaid and Helen Hunt in “Soul Surfer”. 2014 saw the release of the faith-based movie, “God’s Not Dead”. The $2 million-dollar budgeted movie became the most successful independent faith based movie ever with over $75 million US Box Office. “Let There Be Light” was released in October 2017. Sorbo directed/acted in this faith/family movie which ranked number 4 out of the top 10 family movies of that year. LTBL follows the life of the world’s greatest atheist and the road he follows after his beliefs are challenged. Another movie being released in the Fall of 2018 is “One Nation Under God”. The movie drama deals with controversy over that quote in our Nation’s Pledge of Allegiance. Two more releases for 2018 include “The Reliant” which is a drama dealing with the economic collapse of America. “Bernie, the Dolphin” hits theaters in December of 2018. Upcoming projects include “Roe v Wade”, “East Texas Oil” which Sorbo is also directing, and “Carpool Lane”. He also recently produced BreatheBible.com which is a theatrical 18 CD collection reading of The New Testament. 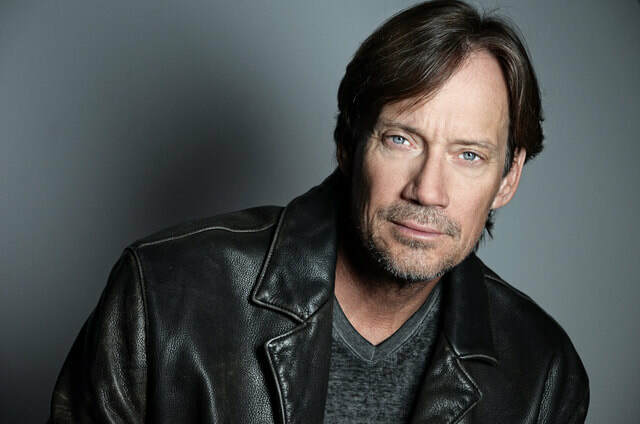 Over 80 actors voice the biblical figures, Sorbo voices God. Nice upgrade from his half-god days on Hercules! In real life, Kevin leads "A World Fit for Kids”, a successful mentoring model that trains inner-city teens to use school, fitness, sports and positive role models for themselves. World Fit is the number on after school program in the state of California. Sorbo resides in Los Angeles with his wife, Sam and three children.